Gravel. Dirt. Gravel Grinder. Call it what you want. One thing is for certain: The Rose Mountain Rumble is one heck of a ride! We’ve unlocked all the best kept secrets of Southern New Hampshire’s vast network of well maintained dirt roads and selected courses to give novice riders a taste of adventure, while putting the hardiest of seasoned veteran cyclists skills to the test. 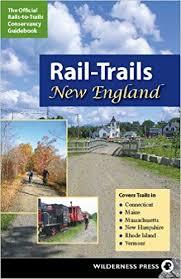 The RMR’s courses twist and wind their way through old dirt road beds long forgotten linking quaint New England town centers akin to a snapshot from our nations scrap book. All proceeds from the RMR benefit the Piscataquog Land Conservancy (PLC), a non-profit land conservation organization working to conserve the natural resources and scenic beauty of the Piscataquog, Souhegan and Nashua River valleys of southern New Hampshire. NH’s finest narrow, rock wall lined dirt roads. Water stations along the way. T-Shirt included with your registration. All Proceeds Benefit Local Conservation. 100k course puts your mettle to the test. 50 Mile and 40 Mile fast and fun all rider abilities. 20 mile route for modest challenge and family. Courses marked as well as cue sheets provided.